The leader of the Polisario Front, Mohamed Abdelaziz, flew to Havana not to request a financial assistance, but to seek the help of Cuban military instructors in devising new action plans and new war instructions. During his two-day stay in Havana, Abdelaziz will also ask Cuban authorities to receive new contingents of Sahrawi children for their indoctrination, said an informed source in Rabouni camp. 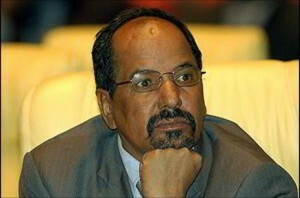 After the Polisario failed to score any gains during the latest Ministerial Conference of the Non-Aligned Movement (NAM) held in Algiers, and following its major diplomatic setbacks, coupled with unprecedented protest movements against the Polisario leadership in the Tindouf camps, Adbelaziz rushed to Latin America to glean some support. Even the official Spain (right and left) seems to have finally turned its back on the Polisario leaders who lost all support with the exception of a few hundred supporters among the civil society and a handful of associations and NGOs which continue to back the separatist thesis. Besides, the Spaniards have paid earlier this week a posthumous tribute to the two Spanish soldiers and ten Canarian sailors who lost their life in terrorist attacks perpetrated by armed Polisario elements between 1970 and 1986. The twelve victims were murdered while they were in the maritime area between the Canary Islands and Western Sahara. Feeling at bay, Mohamed Abdelaziz headed to Latin America where he hopes to convince the leaders of some countries there to continue their support to the Polisario lost causes. But this is a mere headlong rush of the Polisario chief, because even in Latin America, an increasing number of countries are just waiting for the right moment to break with the ghostly Sahrawi republic.